Please read this entire correspondence to be sure that schools have all of the information they need for the State Track and FIeld Competition this weekend. 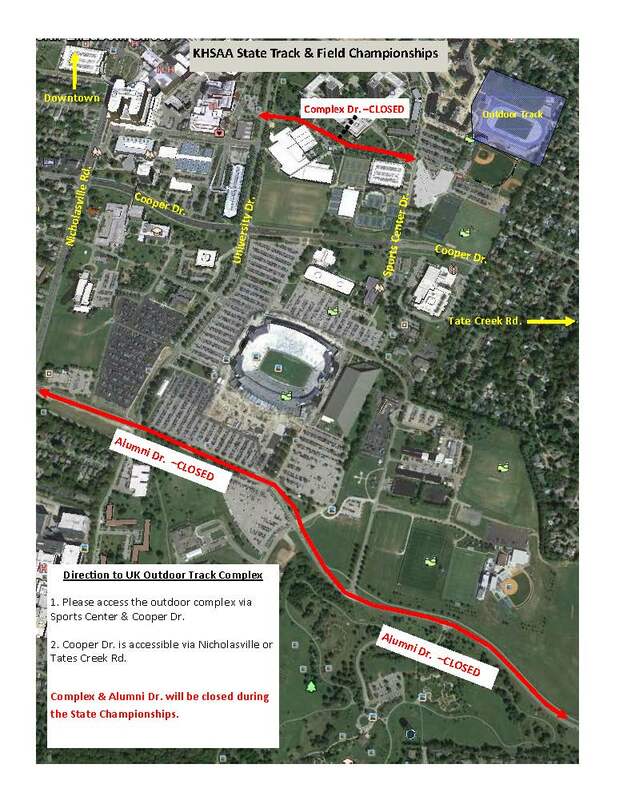 Please pay special attention to the UK Road Construction map as several road are closed near the campus. 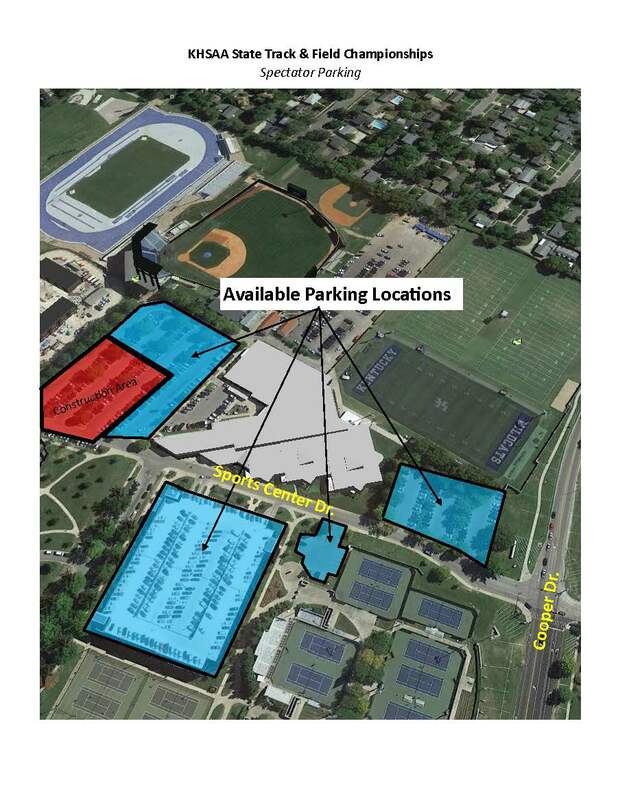 For buses they must enter from Cooper to Sports Center Drive and make the loop in the parking lot. 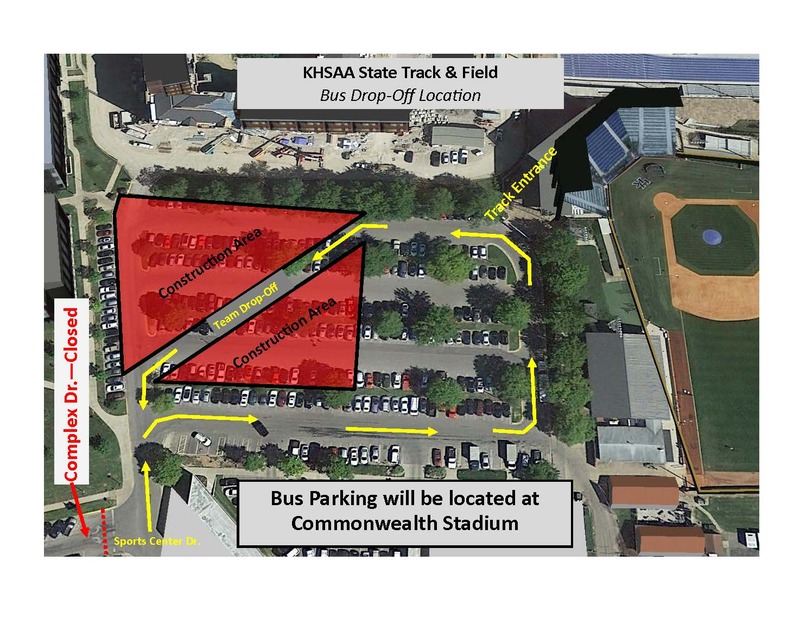 Buses will be able to stop long enough to unload their team, but must keep moving as there is only one way in and one way out similar but even more restrictive than last year. THe school by school roster and the performance listings have all been updated. We will be assigning number and lane assignments tomorrow and those links are available on the track and field page as well under “2015 State/Region Meet Entries/Results tab toward the bottom of the page. As you can see advanced tickets are on sale if you would like to send that link out to your parents and fans. Also, the hotel information is available for you if schools need overnight accommodations. Both hotels still have rooms available. The Meet Time Schedule and the team instructions give a very small window in which the teams have to arrive and enter the facility. We will likely have the facility open earlier than the time listed, but not by more than 30 minutes as we will have to have all of our workers in place and on Saturday between the 1A and 3A change over we will need to feed our workers and get them back into place before allowing entry. 3A coaches will be allowed to pick up their packets at the conclusion of the 1A meet but will not be allowed to enter until the admission gate announces they are ready. Each school is permitted one (1) school media pass at KHSAA State Championship events, valid only for a full-time staff member or a student for the sole purpose of reporting the events and for taking non-commercial pictures for yearbooks, newspapers, etc. Outside entities such as professional photographers, videographers or parents may not utilize the school media pass. This pass must be requested in advance of the start of the event through the online system (http://khsaa.org/school-media-request-form/). 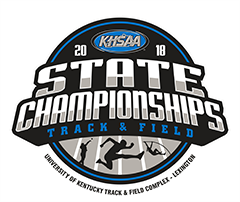 Traditional media members (print, TV, radio, online) interested in covering KHSAA State Championship events should apply for credentials through the KHSAA’s online system. Applications should be submitted by the editor or director at each organization by going to http://khsaa.org/news-stats-pubs/media-resources/media-credentials/. Freelance photographers will not be granted access to KHSAA events unless the requisite media rights fee is paid. 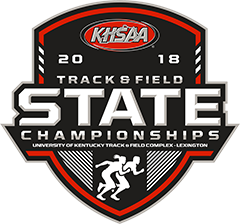 Freelance/commercial photographers and radio stations interested in originating a broadcast of a KHSAA State Championship event, are subject to a media rights fee. Information regarding the media rights fee for each event is available through the online credentialing system (http://khsaa.org/school-radio-station-designation-form/). By paying the requisite fee, each school qualifying for a KHSAA State Championship event may designate one (1) radio station or website to originate an AUDIO-only broadcast of each game its affiliated school participates in. An official representative of the participating school shall designate to the KHSAA which station/website will be permitted to broadcast its game using the online system (http://khsaa.org/school-radio-station-designation-form/). The radio station/website shall then apply for championship credentials through the KHSAA’s online credentialing system (http://khsaa.org/news-stats-pubs/media-resources/media-credentials/). Originating stations/websites will be subject to a media rights fee, which will be outlined through the online credentialing system. The KHSAA is the only entity permitted to originate or authorize a video broadcast of KHSAA State Championship events. Due to the restriction prohibiting parents and spectators from being on the competition floor/court/venue, pictures of the awards presentation at all events will be available for download at no charge to participants, parents and fans within 72 hours of the completion of the event. 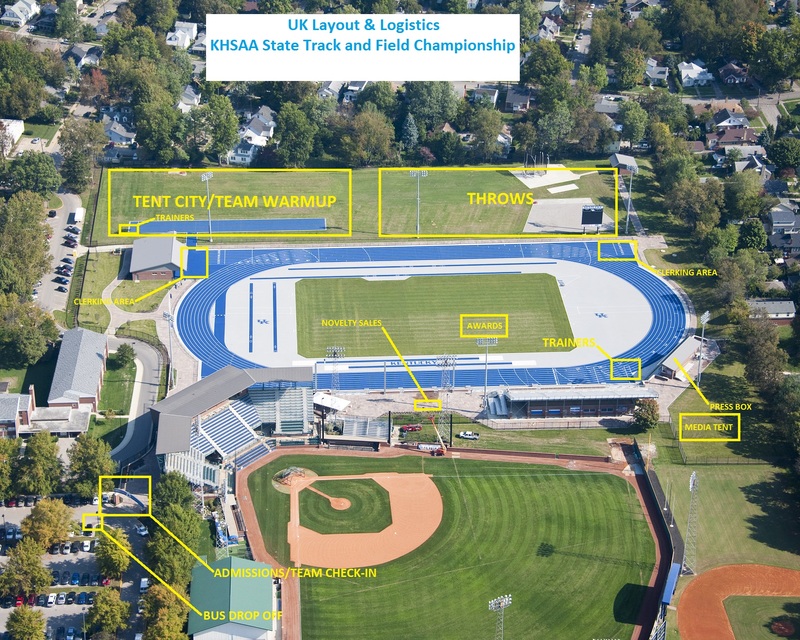 These photos, and others taken during championship competition, can be accessed through KHSAA.org. There will be more communications to come this week as we prepare for your arrival on Friday and Saturday. Order your 2019 State Track and Field Meet Tickets!